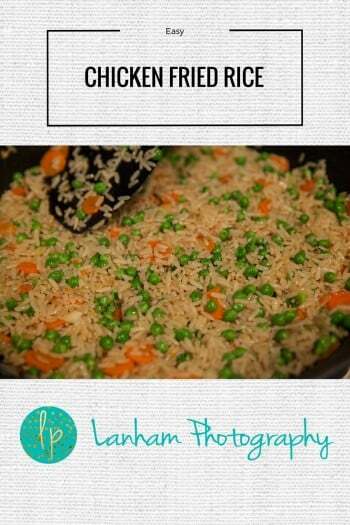 I love friend rice, it’s such a versatile meal! 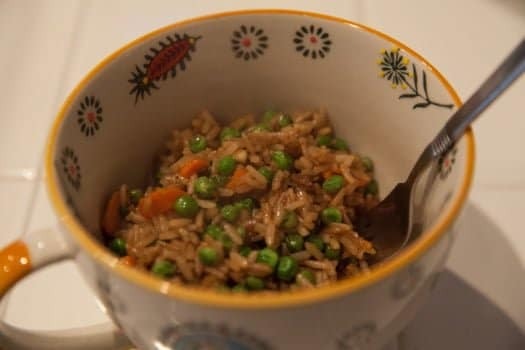 You can throw pretty much anything into it and it’s going to be delicious, and left over fried rice is even better. Wednesday’s have traditionally been Chinese food night for my husband and me. When we were in high school, we used to go to a youth group on Wednesday nights. We had a bunch of friends that would go and since this was way back before I was allowed to date, it was the only night we could go out together. Our friends would get together and we’d go out for Chinese food before youth group. I have no idea why we chose Chinese, but to this day we both still get cravings for Chinese food on Wednesday nights. We try to make dinner at home every weeknight, and this dish is one of our staples that we continue to have week after week. It’s just so good and it’s so easy to make. It doesn’t matter what we have in the house that week, we can add as much or as little to it as we want. We’ve had this meal with just peas, carrots, and rice, or we’ve gotten fancy and added beef, egg, scallions, and snap peas. Like I said you can really add whatever you like! 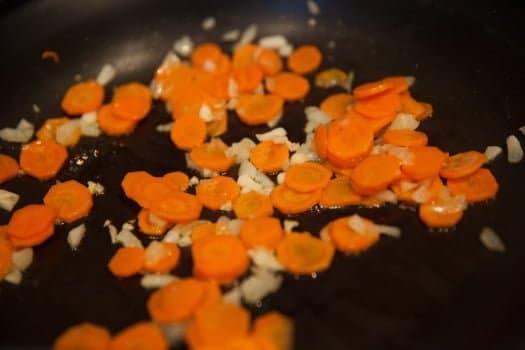 Sautéing the garlic and carrots. 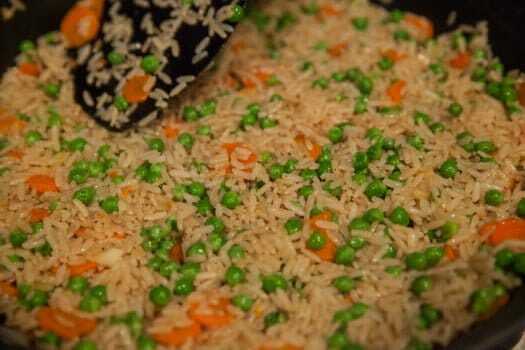 Love the way all the rice looks, such a vibrant dish. The finished product! And it makes for great left overs the next day! 1. Prepare brown rice according to package directions and set aside. 2. In a skillet, put coconut oil and garlic, cook until garlic is fragrant. Add in chicken or beef and brown. Add in carrots and cook until carrots are soft and meat is cooked through. Add in egg, mix with the ingredients in the pan, and cook through. 3. Add in brown rice and peas and mix into the ingredients. You don’t want to add the frozen peas in too early or they will turn brown. Let the mixture sit, in order to “fry” the rice. Add in soy sauce, mix well, and serve. For more dinner ideas, check out my Pinterest board!